Great news! 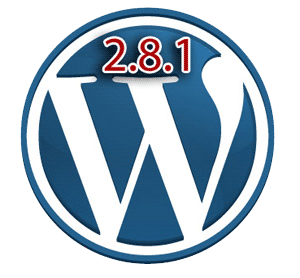 WordPress 2.8.1 was finally released! This version fixes many bugs and improves security for the plugin administration pages. Core Security Technologies notified the WordPress team that admin pages added by some plugins could be viewed by unprivileged users, resulting in information being leaked. Not all plugins are vulnerable to this problem, however they advise upgrading to 2.8.1 to be completely safe. What else is new since 2.8? Read through the highlights below, or view all changes since 2.8. Remember that you can upgrade automatically in a few seconds. In your dashboard, go to Tools -> Upgrade and then enter your FTP details. Or you can update manually by downloading the zip file and installing it in your server. _Dashboard memory usage is reduced. Some people were running out of memory when loading the dashboard, resulting in an incomplete page. _The automatic upgrade no longer accidentally deletes files when cleaning up from a failed upgrade. _A problem where the rich text editor wasn’t being loaded due to compression issues has been worked around. _Extra security has been put in place to better protect you from plugins that do not do explicit permission checks. _Certain themes were calling get_categories() in such a way that it would fail in 2.8. 2.8.1 works around this so these themes won’t have to change. _wp_page_menu() defaults to sorting by the user specified menu order rather than the page title. _Translation of role names fixed. _Autosave error experienced by some IE users is fixed. _Upload error messages are now correctly reported. _Styling glitch in the plugin editor fixed. _Switched back to curl as the default transport. _Disabled code highlighting due to browser incompatibilities. _Updated the translation library to avoid a problem with mbstring.func_overload. Google Sandbox: Myth or Reality? I’ve been browsing through your site, and it is very interesting and very informative. I really enjoyed reading it, thanks for posting. Powered by WpThemesPlanet & WordPress.